If you are looking for a Reykjavik event photographer, here’s why I can help you. 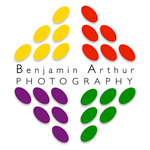 Benjamin Arthur’s event photography projects span the continent of Europe as he works with premier destination management companies and leading event organiser clients in over 40 cities and 16 countries. Originally from England but now residing in Amsterdam, Benjamin has a truly global mindset. He has lived outside the UK for 20 of the past 22 years; mainly in continental Europe. With a background in international advertising, Benjamin truly gets the marketing drivers behind your photographic needs – whether your event is a large trade show, a conference or a black tie dinner for awards recipients or key customers. Benjamin is a passionate believer in the power of visual content and storytelling. He strives with tremendous energy to capture your event in all its glory and deliver it back to you beautifully. He describes his photographic style as discreet, candid and fresh. Most of the time he will try to stay in the shadows but when large group photos are needed he is able to use his powerful voice to make himself heard! The energy that you put into organising your next event will be repaid abundantly when you work with Benjamin Arthur. Don’t just take my word for it – read just a few of the testimonials clients have been kind enough to write here. My premium service extends from the first moment you get in touch to the time when you download your images from your own, unique password-protected gallery. I would be absolutely thrilled to join you as your next Reykjavik event photographer. Just fill out the contact form here or get in touch via email or telephone (details below). I’ll be happy to see what we can do together. I aim to respond promptly, with a quote that is in line with your budget expectations.